A spectacular light show set to music at the Royal Air Force Museum Cosford celebrated Morris Site Machinery as the UK’s number one manufacturer of lighting towers in dramatic style this week. As Storm Ali threatened to put a stop to the event by blowing a local electricity pylon down, another of the reliable brands supplied by Morris Site Machinery was on hand to help. The Denyo Eventa20 ensured that not even inclement weather could stop the event and was ready to silently power the dramatic lighting and music display. The Night of Lights event showcased an impressive range of British-built lighting towers which were used to illuminate stunning aircraft in the National Cold War Exhibition hangar at the Shropshire venue. 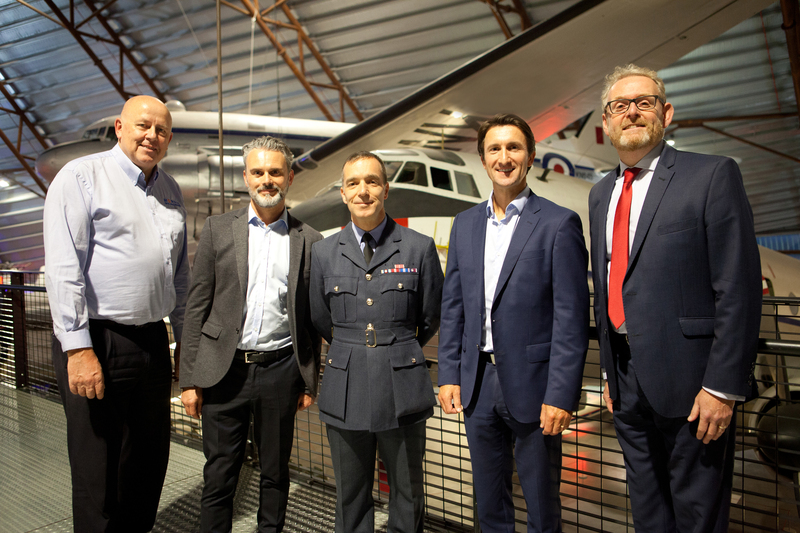 Morris Site Machinery MD/CEO Chris Morris welcomed 60 people to the evening where Group Captain Tone Baker, RAF Cosford Station Commander, spoke on the 100th anniversary of the RAF. He started his career as an apprentice engineer at RAF Cosford. Guests were treated to a special presentation explaining how five generations of enterprise have created a stellar line-up of lighting towers. The lights were introduced and switched on in turn, accompanied by music chosen to reflect their qualities and set the mood. The featured performers included the SMC TL90, which lights up construction sites, events, rail tracks and roads in 25 countries worldwide, and the TL55 Solar, the UK’s first British-built solar lighting tower. The TL90 Ultimate with Halo, a powerful anti-glare next generation lamp, was another star turn, followed by the compact and super silent SL80 Pallet and the TL60 family of lights. Chris Morris said: “It was a memorable evening where we demonstrated the greatest line-up of mobile lighting towers in the world in a spectacular setting. We were proud to show our innovation against a backdrop of amazing exhibits, including British stalwarts such as the Vulcan, Valiant and Victor bombers. Morris Site Machinery has a manufacturing plant at Gosberton, Lincolnshire and an assembly plant at Four Ashes, Wolverhampton. Part of a fifth-generation family business group, it manufactures and supplies world leading site machinery brands and products to serve the hire industry across a range of sectors. For more information visit www.morrismachinery.co.uk or call 0345 409 0280.